« The Calendar Road February, 2013. After a short break in February The Podcasts.ie Showcase is back with more exclusive recordings of music, prose and poetry. 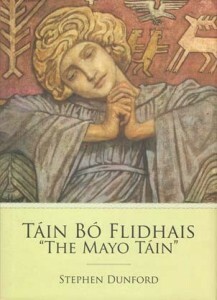 We have a reading by Stephen Dunford from his last book Táin Bó Flidhais (The Mayo Táin), poetry from John Corless and excerpt from his edition of The Writer’s Passage featuring Thomas Mc Carthy and music this month comes from Patrick Galvin’s son Macdara and from Thom Moore. Now that spring is back in the air we plan to bring you many more new and original podcasts featuring great Irish writers and Irish culture, all free and all high quality, you taste of Ireland on the web. Don’t forget you can vote for us, if you wish in The European Podcast Awards and join us on our Facebook page for updates on all news and newly released podcasts. This entry was posted on March 4, 2013, 1:33 pm and is filed under News, showcase. You can follow any responses to this entry through RSS 2.0. You can leave a response, or trackback from your own site.